DIO Returns US Tour 2019 comes to Barbara B. Mann Performing Arts Hall at FSW on Friday, May 31 at 8:00PM. Tickets go on sale Friday, April 12 at 10AM at the Box Office, online at www.bbmannpah.com or call (239) 481-4849. The Fort Myers concert is presented by AEG Presents and PFM. 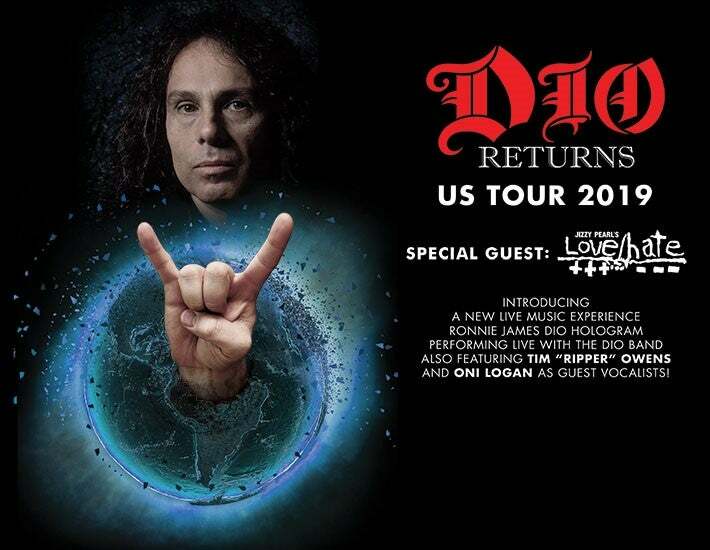 DIO Returns US Tour 2019 introduces a new live music experience…Ronny James DIO Hologram performance live with the DIO Band. Also featuring Tim “Ripper” Owen and Oni Logan as guest vocalists.